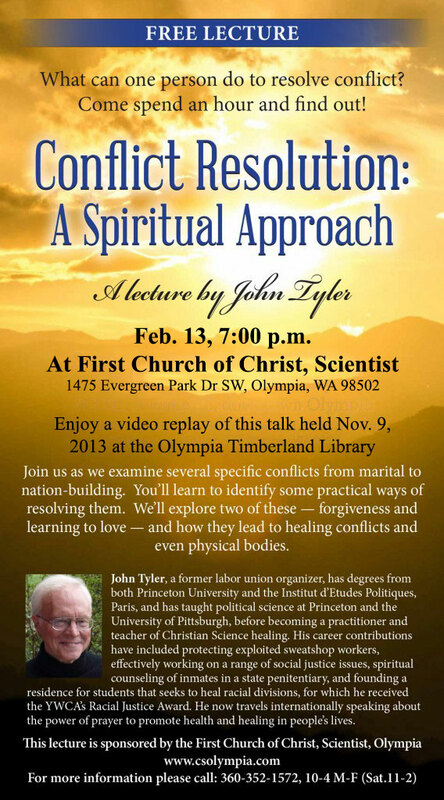 Join us February 13 for a re-watching of this inspirational talk, held last November at the Timberland Library in downtown Olympia. This entry was posted in Uncategorized and tagged conflict resolution, lecture. Bookmark the permalink.